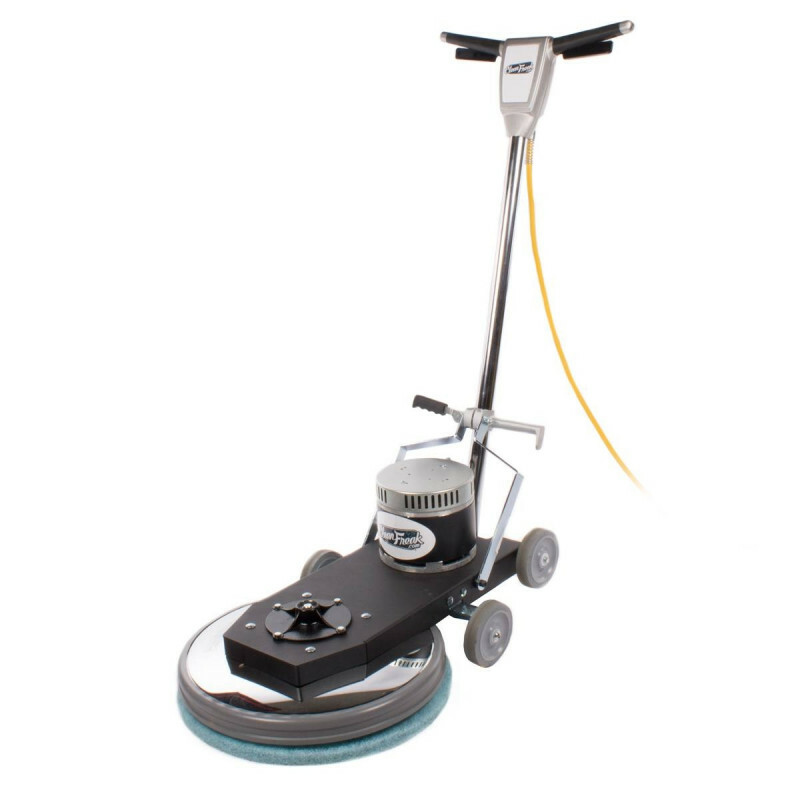 The CleanFreak® 1500 RPM floor polisher is a tough multi-use burnisher that can polish any type of commercially finished hard floor. 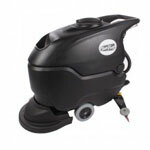 It excels in bringing your floors to a high shine when used with the proper polishing pad and floor buffing solution. This machine is designed to clean and polish most modern types of floors including composition tile, stone, marble, terrazzo, resilient floor coverings, and some coated wood floors. This 20 inch floor burnisher runs off of normal 120 volt electricity and can be run on any electrical outlet that is rated for 15 amp use. It comes with a 50' power cord and should only be used with the cord provided. Other features include a anti-fatigue soft touch handle design, a flexible pad driver that maintains full floor contact at all times, and a no slip V-belt drive transmission. The full machine is backed by a 1 year warranty on parts and labor. If this machine is not exactly what you're looking for, please feel free to take a look at our full line of high speed floor burnishers, which offers many different options. Will polish composition tile, stone, marble, terrazzo, resilient floor coverings & some coated wood floors to a high shine. Flexible pad driver provides maximum contact on the floor at all times including high & low spots. 50' power cord & 20" burnishing path allow for a max productivity rate of 15,000 ft²/hr. Handle mounted circuit breaker allows for easy resets if you draw too much power. Made in the U.S.A. & covered by a 1 year warranty on parts and labor.